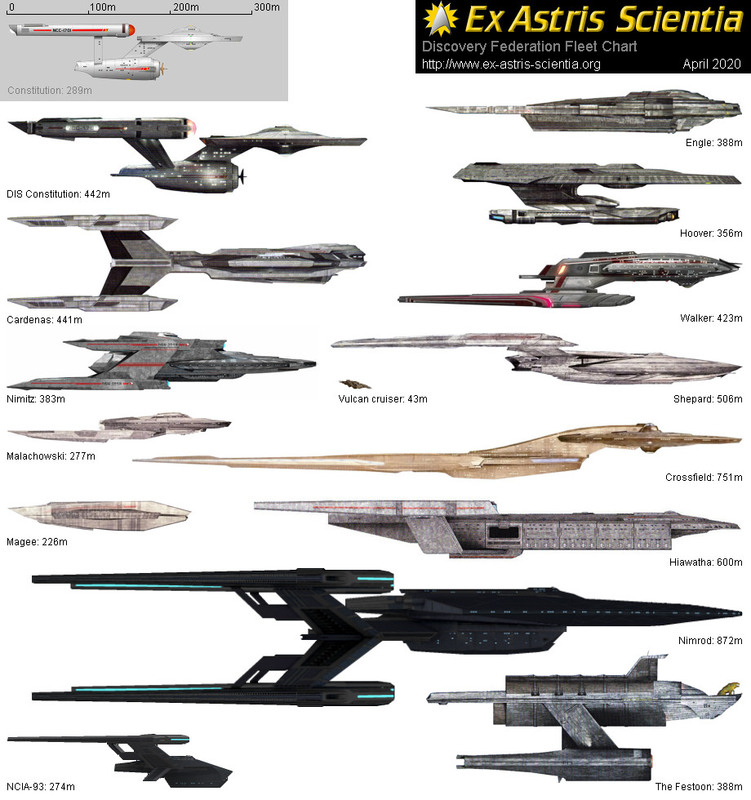 Here are the fleet charts with sources and references. 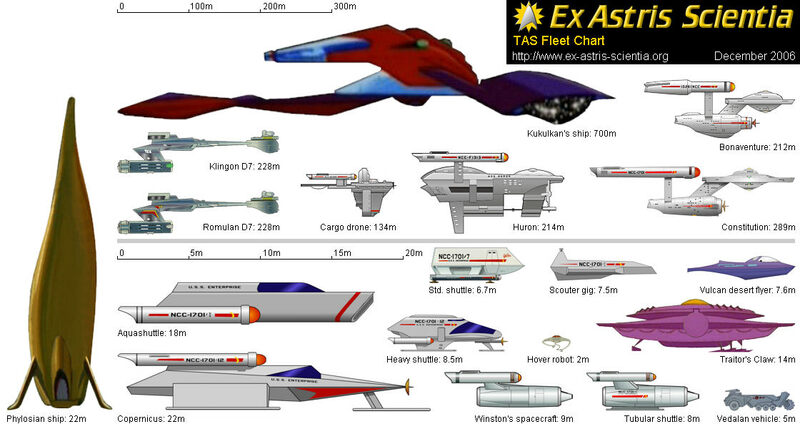 Concerning the reliability of size figures in official publications, please consult the size table. 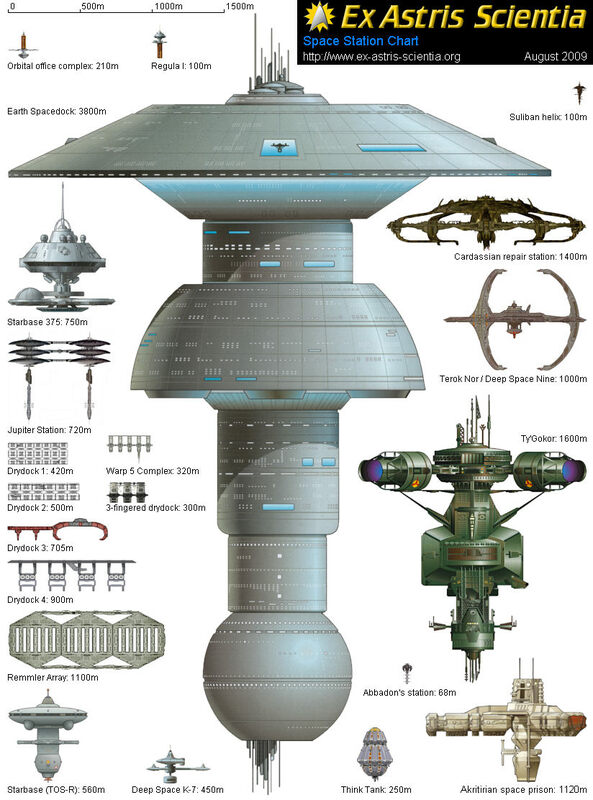 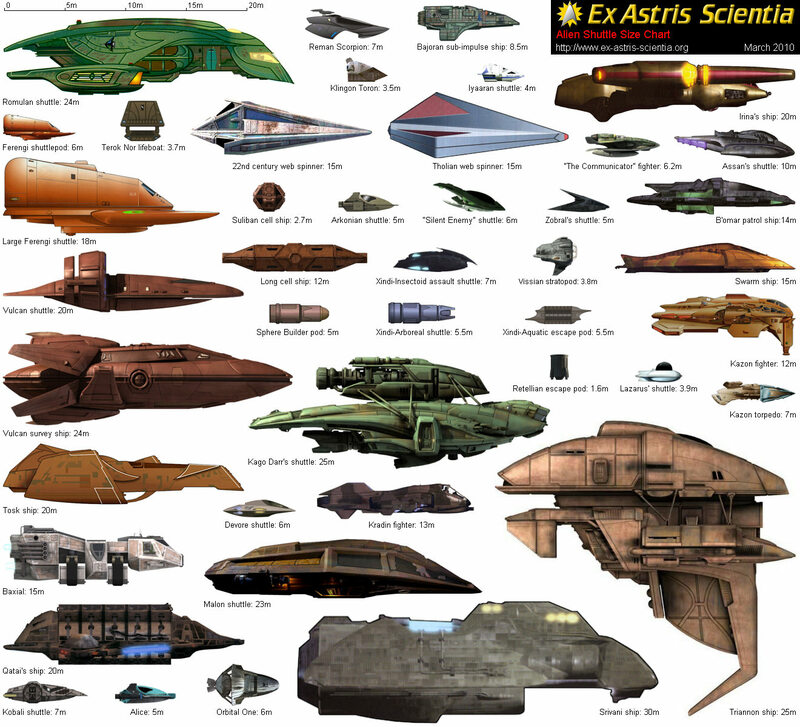 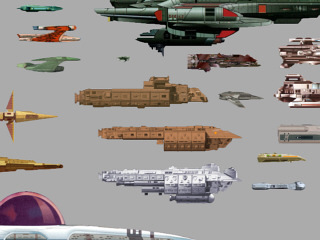 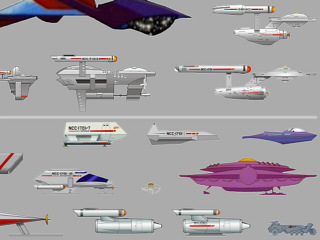 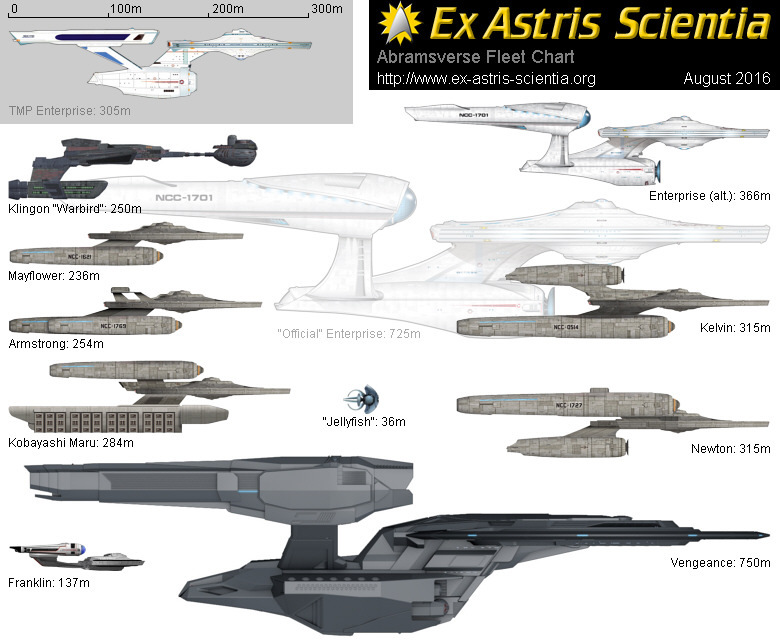 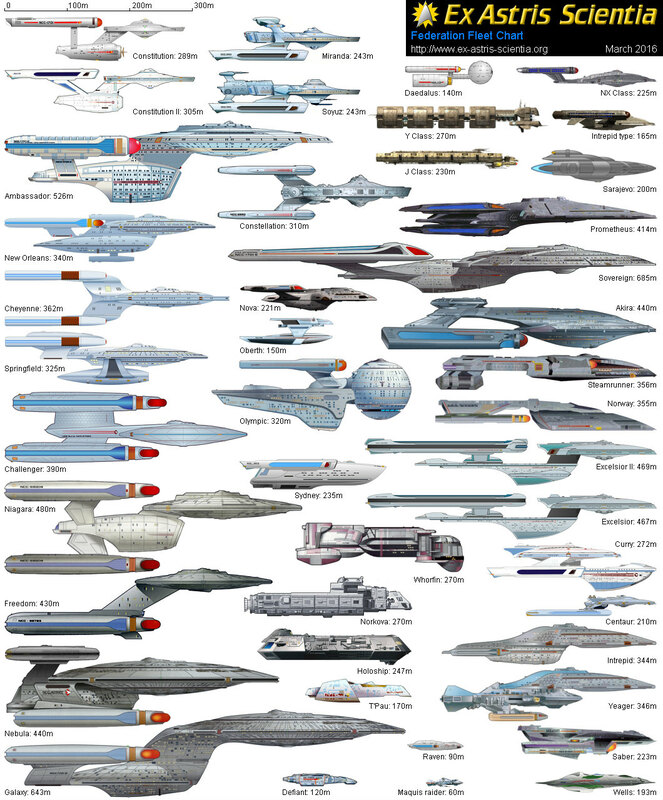 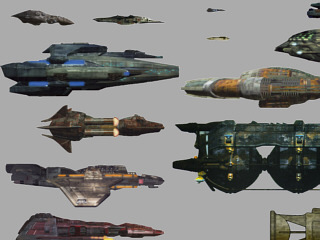 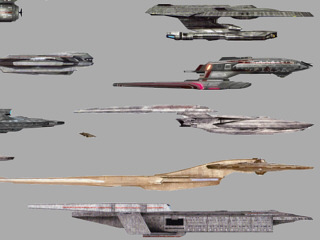 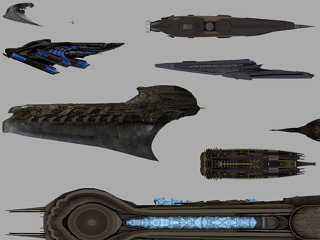 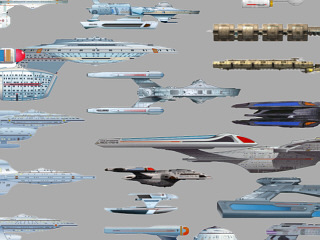 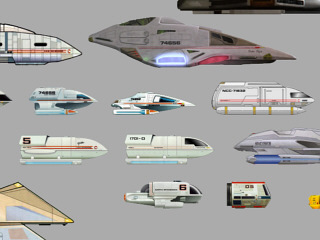 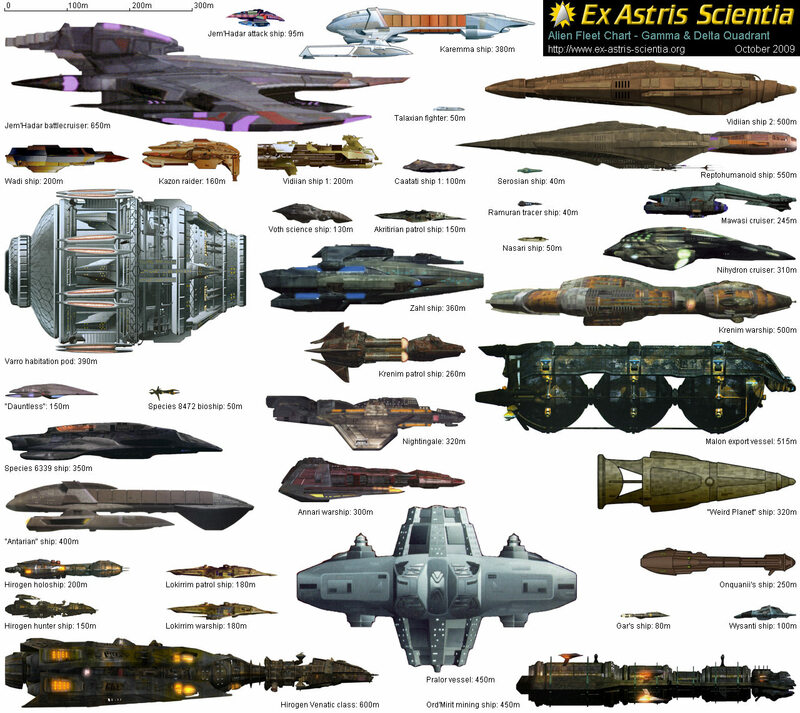 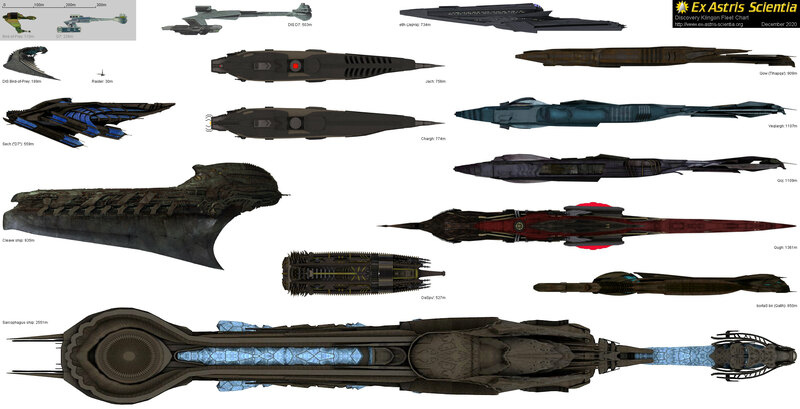 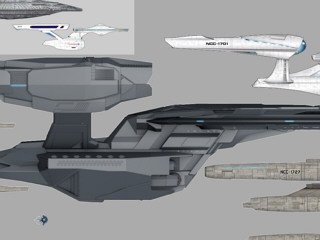 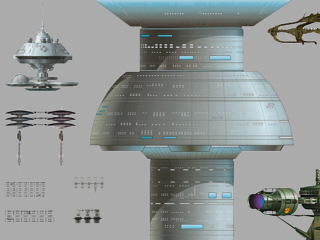 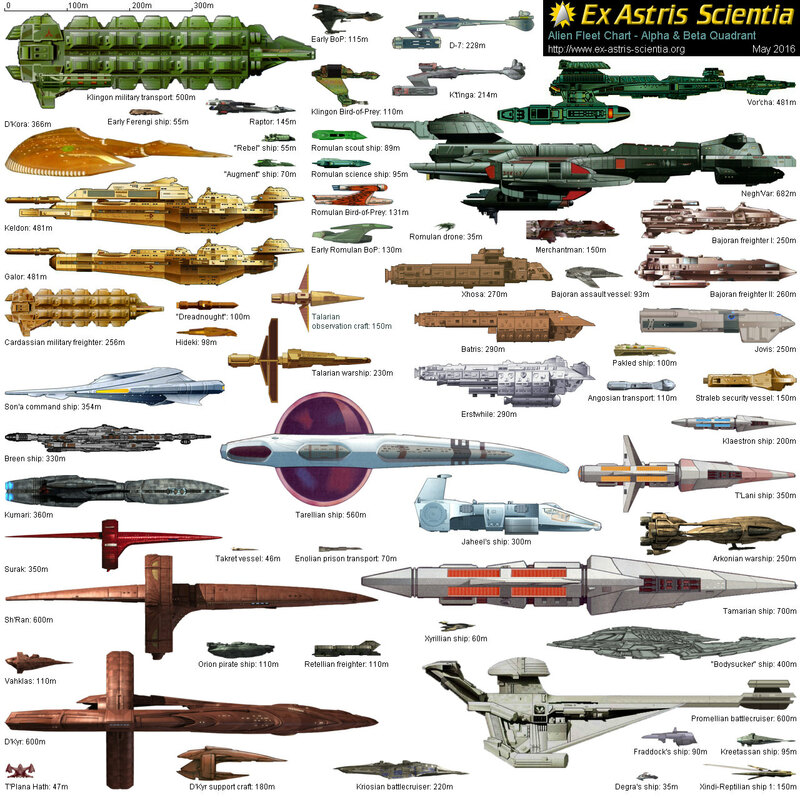 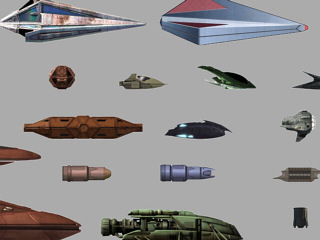 The starships of the reboot movies are "officially" much larger than the ones of the previous Star Trek incarnations, owing to the retroactive upscaling of the alternate Enterprise design for a supposedly more dramatic impact. 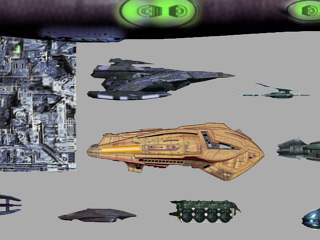 My own size estimations are based on the ships' design sizes, on (part of) the visual evidence and on plausibility concerns. 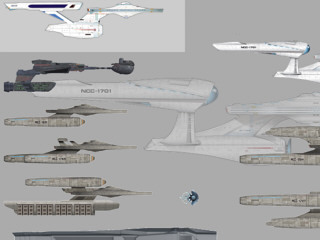 The "official" sizes are reproduced in a second size chart. 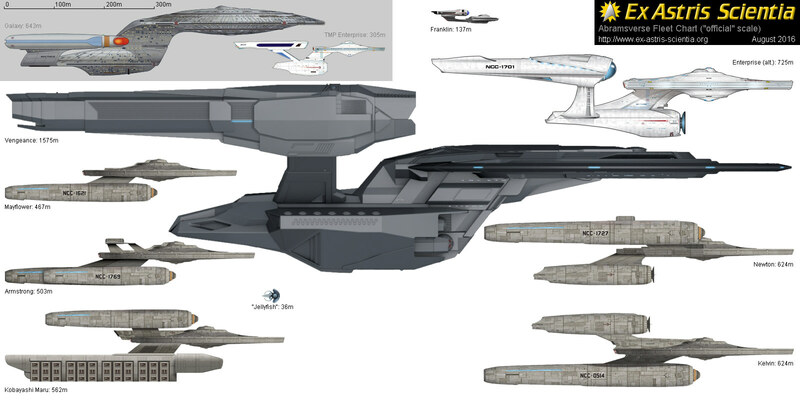 K'normian trading ship, 15m, screen evidence from "Star Trek Into Darkness"
Swarm ship, 15m, screen evidence from "Star Trek Beyond"
As a general rule, Discovery Starfleet ships are much bigger than pre-reboot Prime Universe ships (among many other discrepancies). 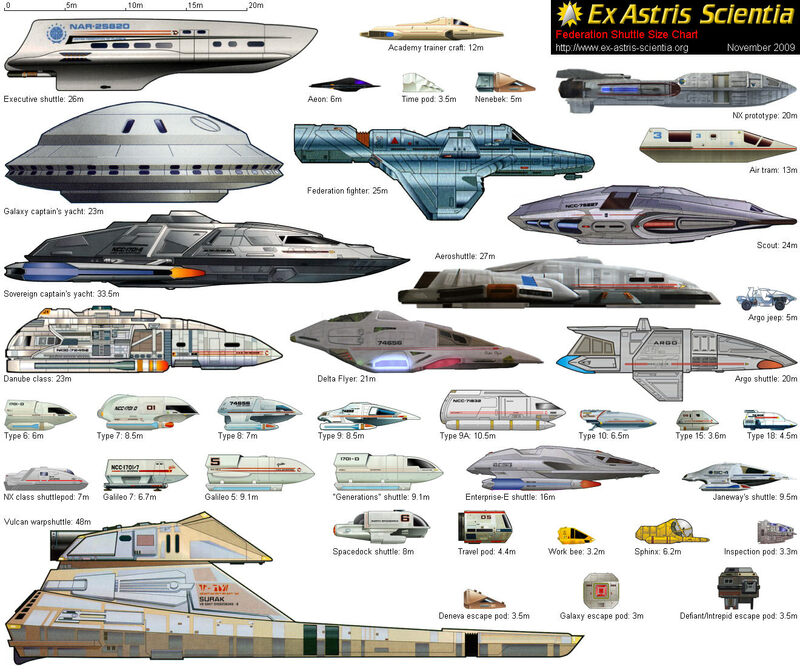 EAS accepts the sizes given by the Official Starships Collection until further notice.